Perfectly Perfect! Built in 1992 this home hardly looks lived in. 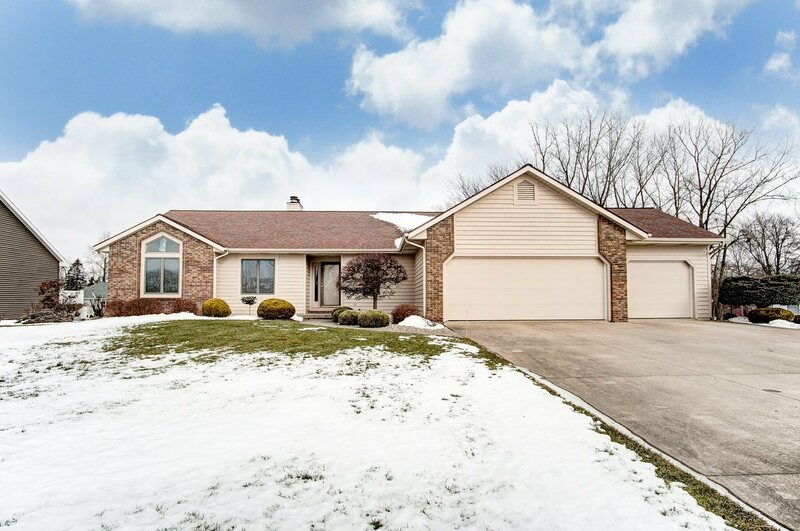 The main floor offers 3 bedrooms (including the master), 2 full baths, laundry with 1/2 bath, lots of windows, gas fireplace, formal entry, storage that will make you weep AND the master - living and dining rooms all enjoy lakeside views. The lower level has a huge family room with gas fireplace and daylight windows, AGAIN... storage on steroids, a super cool dry-walled workshop with industrial venting and a walk-up exit to the lakeside. The home sports a 3 Car attached garage with finished interior, openers and attic storage. The furnace was new in 2010 and the water heater was new in 2015 when the home was hooked to natural gas. Outside... the lot is roomy, there is plenty of parking and the icing on the cake... a sweet little screened in porch. The home is located on Dallas Lake. Dallas Lake is part of a chain of glacial made lakes with hours of shoreline cruising, sandbars, and all-day water sports. Don&apos;t miss the boat!